The Interior Ministry said yesterday that it would ask Prime Minister Hun Sen to authorize the drafting of a new law that would create a mechanism to prevent what some call “systematic and pervasive” torture in the country’s prisons and detention centers. 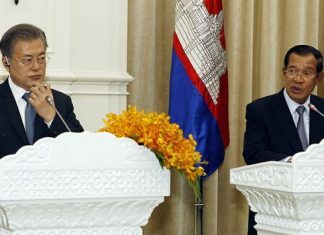 At a meeting between the Office of the UN High Commissioner for Human Rights and the Interior Ministry, Secretary of State Nuth Sa An said that Cambodia had fallen short in complying with the UN’s Optional Protocol to the Convention Against Torture guidelines, which Cambodia incorporated into law in January 2007. 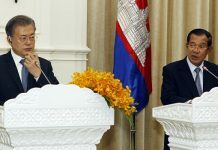 Cambodia’s acceptance of the protocol obliged the government to take concrete steps to bring its provisions into effect, including the establishing of a committee to set up and implement a National Preventive Mechanism (NPM). The committee has been formed, but Mr Sa An said that there were budget concerns, a lack of independence, “no gender equity,” and that a law would still have to be drafted to comply with the protocol. 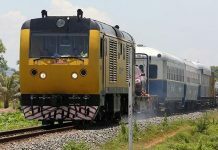 Savna Nouth, chief of the NPM Secretariat, said permission would be sought from Prime Minister Hun Sen “at the end of this year” to “draft a relevant law” in order to comply with the guidelines. OHCHR Deputy Representative James Heenan said that Cambodia has “a lot to be proud of” for ratifying the UN torture convention, but that there was a “need to accelerate the process” and “move into the real world” to tackle the problem of torture in Cambodia. However, Phil Robertson, deputy director of the Asia division of Human Rights Watch, said that the country has a long way to go to curb torture, which he referred to as a “standard operating procedure” in Cambodian prisons, police lockups and drug detention centers. “When we focus on a facility…we find torture which is systematic and pervasive and very little has been done. Am Sam Ath, a senior investigator with local rights group Licadho, said his organization had dealt with eight torture cases this year, while Chan Soveth, chief monitor for Adhoc, said they had handled 51 torture cases and spoken to 42 prisoners released from jail this year, all of whom said they had been tortured while incarcerated.